As a child, one of my favorite songs was a silly song that taught new Hebrew words using English puns (“Etz a nice tree! How do you say ‘tree’ in Hebrew? Etz!). The refrain is “Ivrit, Ivrit, Ivrit Daber Ivrit” (Hebrew, Hebrew, Speak Hebrew). This song was a staple at Family Camp during my youth and now my own children love to sing it too. I’ve taught this song on the bus during trips I’ve led through Israel because it’s a simple way for participants to return home having learned a few dozen Hebrew words. After all, one can’t travel to Israel without learning some Hebrew – the indispensible language of the Jewish people. I want every Jew to be able to understand the Torah. Likewise, I want every Jew to understand what they are saying during their prayers. I want the vast library of rabbinic legend and lore, the midrash, and the great legal works of the Jewish people to be accessible to the entire global Jewish community. It is for that reason that I embrace the translations of the Torah and the Talmud, the prayer book and Hebrew literature, into so many languages. If an English translation means that one more Jew embraces the beauty and wonder of our sacred liturgy who otherwise would not have been able to because the Hebrew was a barrier, then it is a worthwhile tool. However, I also believe that Hebrew is the indispensable language of the Jewish people and every Jew should make an effort to learn Hebrew, which is known as l’shon ha-kodesh “the holy language.” Resources exist in our community to learn Hebrew from the most basic level. While it is possible to study the Torah in English, it is no replacement for understanding our sacred Tradition in its original Hebrew. There is nothing like being able to go to Israel and get directions in Hebrew or order a meal in Hebrew. Yehudah Amichai’s poetry in English is still marvelous, but it is not the language in which the poet expresses himself best. Studying Torah in the language in which it was originally written is a feeling that every Jew should experience. God hears our prayers in any language. However, there is something beautiful about the Hebrew language. Something about it that connects us together as a people. As the Jewish new year is approaching, it is a great time to resolve to learn Hebrew or advance your Hebrew literacy. The Torah will come alive like never before. As a veteran ulpan teacher and Hebrew writer I can't agree more on the important of the Hebrew language. You can't really appreciate the richness of the Jewish literacy, whether religious or secular, without being able to read it in its Hebrew original. Only when you know Hebrew and can compare, you can appreciate how more beautiful it is in Hebrew than in translation. Also, if every Jew knew Hebrew, Jews from every place in the globe would be able to communicate in the language of our ancestors. In the early years of the State, there was a slogan: Yehudi, daber Ivrit- Jew, speak Hebrew! it is relevant to today in America as well. 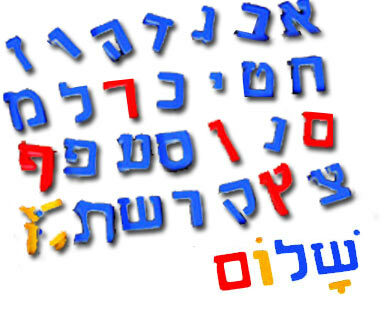 I know how important this is to learn Hebrew, it's not just a language, it's our bond to the jewish world and Israel. And today I am working in Jerusalem-Post and providing on a daily basis the ability for people that live abroad, to learn Hebrew with proffesional "Ulpan" teachers from Israel, without leaving their house. If someone thinks that he\she could use this opportunity he can contact me personally here astger99@gmail.com. This is a new program that already hunderds of people around the world enjoy. It's called IVRIT TALK!